Within the 7 years of experience, we have become a reputed firm in the industry for our expertise in developing new products and upgrading the old ones as per demand of the market. Our dedicated, skilled and promising manpower assure for continuing the development of many more innovative quality products with time. Today, we are counted as leading manufacturers and exporters of concertina wire and scaffolding products in India. Om Wire & Wire Products Industry owns an advanced state-of-the-art infrastructure equipped with advanced manufacturing unit which enables us to design and develop innovative products in compliance with international quality standard as well as cost effective products. 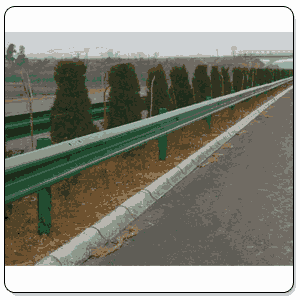 Advanced technology installed by us allows quick production of Concertina Wire, W Beam Highway Crash Barrier, Chain Link Fencing, Scaffolding Materials and Shuttering Materials without any compromise in quality or performance.